Bonnet Macaques are grey-brown Old World monkeys with wrinkly faces, large ears and a comical mop of centre-parted hair on their heads. There are two subspecies: the dark-bellied Bonnet Macaque and the pale-bellied Bonnet Macaque. Like other macaques, the Bonnet Macaque is very sociable. They communicate with an interesting range of gestures and facial expressions. Amongst other uses, these establish dominance, and certain expressions and behaviours are used by low-ranking macaques to submit to the high-ranking individuals. For instance, a low-ranking macaque may offer a hand to the dominant individual for them to mock-bite. They also take part in social grooming, which calms tensions and strengthens social bonds. The social groups consist of many related females and unrelated males, as females remain in their birth groups but males leave to join other troops. This increases genetic diversity. Both males and females mate with multiple partners. Their mating behaviour is unlike many other mammals, as top males allow young males to mate with young, low-ranking females. The mating season peaks from September to October so most births take place between February and April. Bonnet Macaque troops have a home range with a core area of around 120 acres (50 hectares). 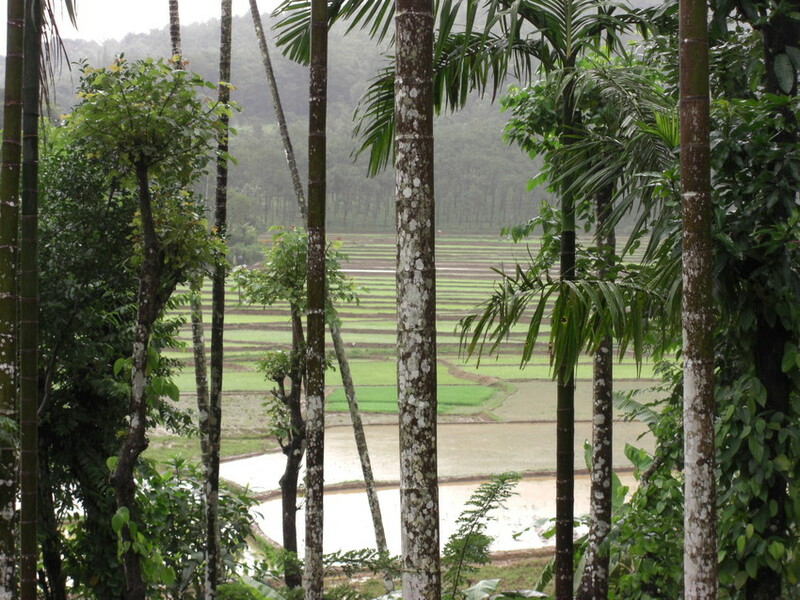 They are comfortable in trees and on the ground, and as well as living in many different forest types, they will use plantations and agricultural areas. Many populations live near human settlements and now rely on food raided from houses, markets and waste, as well as food offerings left inside temples. Macaques living in forests feed on fruit, foliage, insects, lizards and occasionally birds’ eggs. They often co-exist with Grey Langurs without competing or fighting. 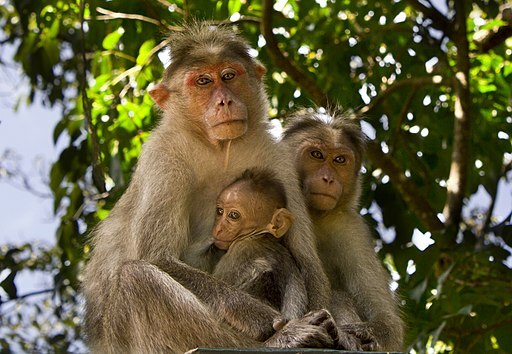 The IUCN lists the Bonnet Macaque as Least Concern and the main threat to them is likely to be human-animal conflict in agricultural and urban areas. They are hunted, and live macaques are also traded for research and road shows. Maestripieri, D. (1997). Gestural communication in macaques: usage and meaning of nonvocal signals. Evolution of communication, 1(2), 193-222.